The concert that Jazz Café Escazú will host on Sunday afternoon isn’t your average show. For starters, the musicians are ten years old. What’s more, they are siblings – triplets, to be exact, who have formed their own band. Finally, the kids will be playing not just because they love music, but also because they are a family on a mission: to offer educational opportunities for women in Costa Rica who might not otherwise get a chance to study. Nemesio, Santiago and Sofía Díez, the stars of The Rolling Penguins, will rock the Jazz Café in order to raise funds to support the educational goals of three Costa Rican women who are studying at the university level thanks to scholarships from the Costa Rica U.S.A. Foundation for Cooperation (CRUSA) and the Latin American University for Science and Technology (ULACIT). 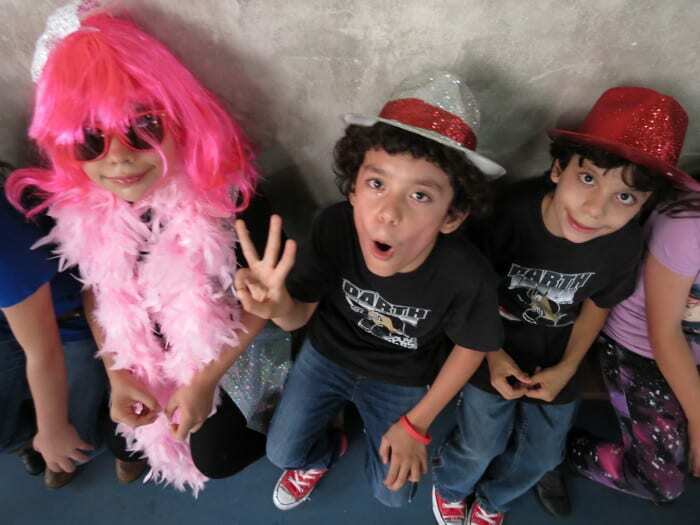 The bandmates’ mother, Mexican artist and psychologist Julieta Carrillo, told The Tico Times that the kids have shown an affinity for music from an early age. This passion for music met an equal drive to make a difference when the kids, students at the Panamerican School, learned about Pakistani activist and Nobel Peace Laureate Malala Yousafzai. The children wanted to help Yousafzai and other Pakistani women to be able to obtain education; at the same time, the family wanted to benefit women in Costa Rica. They contacted Juliana Magalhaes, the founder and editor of CR Insider Magazine, which partners with the CRUSA Foundation, a nonprofit that promotes sustainable development and Costa Rican-U.S. cooperation. Through this connection, the kids learned about CRUSA’s programs, including the ULACIT partnership that helps women with limited resources obtain university education they would not otherwise be able to access. As a result, Sunday’s concert tickets will raise funds to help three female scholarship recipients with their educational materials expenses and living costs. A portion of the cost of food and drinks consumed, and 100% of Rolling Penguins CDs sold, will go towards the scholarship recipients as well. The show also promises to delight concert-goers with both covers and original music. Deep Purple’s “Smoke on the Water,” “Monkey City” based on Guns N’ Roses’ “Paradise City,” and “Bola de Pelo” played to a Van Halen rhythm are some of the melodies with a twist. “Jugo Pofa” is inspired by Santiago’s first words, and “Vuela Abuela” (“Fly, Grandma”) is a tribute to Carrillo’s mother, one of the first Mexican pilots. She is a woman who stood out for doing something out of the norm and it is strongly related to the message these children are striving to communicate: gender equality through education. Special guests onstage at the show will include David Calderón, Alex Marzzo, Lucía Meléndez, Viviana Amador, and Juliana Magalhaes. “As a band, we always practice on Saturdays and Sundays. Sometimes some of my husband’s friends play with us. It was during those jam sessions when we met one of Jazz Café’s business associates, who agreed to collaborate with the Rolling Penguins project,” said Carrillo. Yousafzai herself famously said that “One child, one teacher, one book, and one pen, can change the world.” Thanks to Nemesio, Santiago and Sofia, these words are alive and well in Costa Rica – only make it three children, one stage, and one heck of a dream. 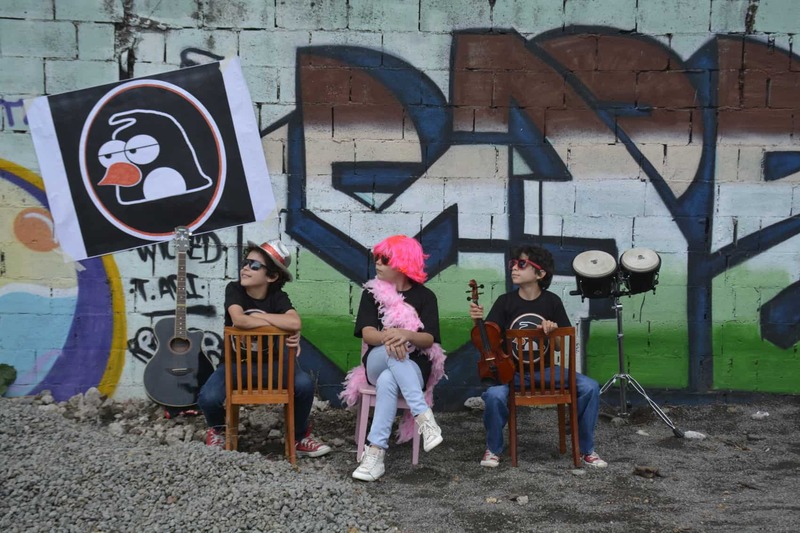 The Rolling Penguins’ Pro Education Concert will take place Sunday, July 5 at 4 p.m. at Jazz Café Escazú, c5,000 (approximately $10). More information: Jazz Café website or Costa Rica U.S.A. Foundation for Cooperation (CRUSA), 2246-5656.